Most authors writing about natural resource management (NRM) agree that their very complexity and the interactions and interdependence between resources and their users require that we focus on the importance of scale. Ecological researchers are mostly focused on the geobiophysical scale, while scholars of governance are primarily concerned with governance arrangements at different levels, which may or may not correspond directly to the scale of the resources being managed. Traditionally, there has been a mismatch between human action and ecological systems, as Cash et al. (2006) point out, resulting in poorly designed institutions for NRM. For example, short electoral cycles for government officials may conflict with the long-term planning needed for NRM. The documented failure to consider the proper scale and cross-scale dynamics in human-environment systems often results in misguided public policy and resource management systems. The challenge, then, is how to recognize and address this mismatch in order to design governance arrangements that can coherently map onto the biogeophysical scale of the resource, either spatially or temporally. This tends to be a very difficult and complex challenge because scale issues are generally linked with political structures and authority. In this essay, we review current thinking on multilevel governance to explore why coordination across scales and levels is important. We also examine the main policy approaches that have been used to achieve cross-level and cross-scale coordination. Finally we consider some of the factors identified in the literature that contribute to successful cross-scale collaboration. Integrated natural resource management (INRM) is a complex process that occurs at a number of scales with multiple stakeholders, each with their own objectives and perceptions (Campbell et al. 2001). The term “INRM” encompasses a range of activities with numerous components, and therefore risks being over-inclusive, but it seeks to focus on the most appropriate indicators – such as sustainability and distribution of benefits – that vary with the scale at which management takes place and the scale at which prevailing social and economic processes operate. Interventions may work at one scale, but have very different effects at a higher scale. For example, soil and water conservation interventions may improve crop yields at a specific site, but reduce water yields downstream. The challenge is to ascertain the appropriate scale for evaluating benefits. Campbell et al. (2001) show that the appropriate scale depends on what types of impact are anticipated, the specific objectives, the time scale of the study, the level of accuracy required and the value system that is chosen by the evaluator. It is relatively manageable to make plot- and farm-level analyses, but much more unwieldy to study impacts at the scale of the community and the watershed where numerous complicating factors – ecological, social, cultural, institutional, eco­nomic, and political – have to be considered. Researchers may also approach INRM studies with multiple assessment criteria, such as poverty alleviation, ecological resilience, natural resource conservation, economic growth, and human and social development, which reflect the varying interests of different stakeholders. In most of the studies we reviewed, it becomes clear that environmental interventions (albeit considered at different scale) will not be effective without the appropriate management and governance structures. As Cash and Moser (2000) point out, big problems arise when an environmental phenomenon is managed at an institutional scale whose authoritative reach does not correspond with the geographical scale or particular spatial dynamics of an environmental problem. Ostrom (2009) suggests that although the benefits from interventions seeking to reduce greenhouse gas emissions are distributed across scales, from the household to the globe, small and medium scale governance units are better suited to build trust and commitment than ones working at a global scale alone. Cross-scale networks of resource management cannot only create more resilient governance but also governance that is more participatory and effective. Adger et al. (2005) note that the marine areas of the Caribbean are managed through integrated and well-linked resource systems (nested within national and international agendas, regimes, networks, and legal systems) and with multiple beneficiaries – and are more robust/resilient than systems with greater or fewer linkages. Resilience and stability of governance systems depends on the distribution of benefits from cross-scale linkages, demonstrated by the ability of the system to command legitimacy and trust among the resource user and govern­mental stakeholders. Adger et al. believe that multilevel governance should be promoted not just for ecological reasons, but because shared responsibility for management of resources creates positive incentives for sustainable use. It also overcomes problems of legitimacy from traditional NRM and its presumption that the local regime should avoid a larger, scalar interdependence. Research on forest management also affirms the need for multilevel governance. Ribot et al. (2006) argue that there must be procedures in both policy-making and implementation that encourage public participation, democratic control over forests and community participation – i.e., governance arrangements that span various levels. Poteete and Ostrom (2004) also note that, because forest ecosystems are affected by many biophysical, demographic, economic, and institutional factors, they require complex interactions between ecosystems and social systems. Policies promoting institutional development at the local level require a solid understanding of the determinants of local organization and successful forest management. Definition of scale and multilevel governance. The sections above show that there are multiple definitions of “scale” and “level,” depending on the research discipline and/or objective of the study. The natural science literature views scale as an indication of an order of magnitude rather than a specific value (Schulze 2000). Scaling entails changes in processes and actors, upward or downward, from a given scale of observation. It recognizes the interconnectivity of scales and includes the important constraints, interactions, and feedback (lateral flows) that may be associated with such changes in scale. In governance research, this concept is understood more as linkages between various levels of governing bodies, local, national, and global that are used to further their own interests (Adger et al 2005). Institutional interplay at different levels can be highly asymmetric or relatively balanced. In the Mekong region, for example, central state agencies have authority to create formal rules, while community-based institutions can make adjustments to the operational management of irrigation and flood protection (Lebel et al. 2006). Cash et al. (2006) distinguish between the terms “scale” and “level.” “Scale” refers to the spatial, temporal, quantitative, and analytical dimensions that are used to measure any phenomenon. “Levels” are units of analysis that are located at different positions on a scale. The concept of nested governance also appears as a potential definition of multilevel governance (Ostrom 1990). For example, national rights definitions will establish more specific legal relationships and procedures for the application in national territories. Cross-scale relations imply that processes at any particular scale involve stakeholders from the other scales. Participation of various stakeholders. Across the literature, the state and its various agencies with authority at different levels are mentioned as crucial actors in effective NRM. Swallow et al.’s (2001) watershed management study shows that the state can play a variety of roles at different scales. It can facilitate the development and effectiveness of local organizations (local level), provide assistance through policy and financial support of group activities (municipal level), and promulgate favorable policies that help local organizations to be effective (national level). This study also shows that donor organizations want NGOs as facilitators of watershed management because they are thought to be participatory and willing to listen to farmers’ concerns. Bebbington et al. (2006) point out that it is critical to pay attention to multi-locale bridging arrangements and linkages between villages and nonlocal actors (advocacy NGOs). The bridging relationships with external actors have their own impact on local capacity to respond to changes and pressures. These abilities have often resulted in interesting renegotiations of the relationships between villager, village government, state and business. the scale of impact: for example, the extent to which desirable outcomes, e.g., improved system productivity and resource quality, have been achieved through INRM research. There are links between these scales: greater impacts are generated from higher levels of investment in suitable intervention strategies, or from more efficient use of these investments through greater reliance on community empowerment, leading to expanded geographical coverage of suitable practices. On the other hand, Swallow et al. (2001) see scale as hierarchy and as mag­nitude. Hierarchical scale comprises processes by which higher-level scales impose constraints on lower-level scales. For example, national level laws constrain jurisdiction and autonomy of local-level policy makers, while local bodies have very little impact on the formulation of national laws. Cash et al. (2006) distinguish between the geographical, or spatial scale, and the temporal scale. Temporal scale implies division into time frames related to rates, durations, and frequencies of natural phenomena. Closely related to these scales is the jurisdictional scale, which is defined as clearly bounded and organized political units, such as towns, counties, states or provinces, and nations, and constitutional and statutory linkages among them. Other scholars see the primary distinction in scales to be along spatial and temporal dimensions. Gottret and White (2001) show that the measurement of impact across spatial scales is a key issue in the impact assessment of INRM research. Approaches to integrating cross-scale coordination in natural resource governance. Most of the literature on multilevel governance in relation to natural resources adopts two contrasting approaches: “Big Government” and “Small is Beautiful.” Murphree (2000) argues that while both of these approaches represent attempts at matching scales, both have problems. The “Big Government” approach imposes conventional NRM by government agencies, often failing to recognize existing systems of cross-scale/cross-level interactions in resource use (Mwangi and Ostrom 2009). This locks in patterns of resource use, reduces flexibility and undermines the ability to adjust to sudden shocks, such as climatic variability (Adger et al 2005). “Small is Beautiful” seeks to place jurisdictions at local or communal levels. Small jurisdictions are more transparent to their constituencies and more politically acceptable. Controls exerted through local peer pressure are tighter and more efficient than prescriptions from afar. “Small is Beautiful” is more capable of linking management inputs and output benefits, which is important for allocating responsibility and motivating environmental investments and controls. Furthermore, the important linkages between responsibility and authority can be coordinated under one local institution or explicitly articulated among the range of actors involved. (Lovell et al. 2002). For “Small is Beautiful” the problem is maintaining links across spatial, functional, and ecological scale (Murphree 2000). Several solutions have been proposed to address the problems of these two broad policy approaches: decentralization and participation. Both approaches involve the transfer of decisionmaking and political power from central to more local levels such as district, county, parish and communities (Blaikie 2006). Other related reforms include “downward accountability,” the granting of a significant degree of decisionmaking autonomy to local bodies, and competent local institutions (Ribot 2001). Community participation in resource governance. Community participation in NRM has been promoted widely for the past few decades as a bottom-up way of creating multiscale governance linkages. By giving people a stake in the process, community participation enhances the prospects of efficient, equitable and sustainable joint action (Blaikie 2006), especially for communities that have an integrated social structure and common interests. However, Lovell et al. (2002) show that bottom-up initiatives require support from external agencies in order for them to function effectively. World Bank-supported watershed development, for example, has been criticized for investing in infrastructure without ensuring on-the-ground support for continued maintenance. On the other hand, NGOs that achieve institutional sustainability in individual villages often cannot replicate their models rapidly. Clearly, a balance is required. Blaikie (2006) shows that even though this approach was an established policy goal for rural development in Africa, it was often subverted by postcolonial states that favored centralization of power and by foresters, agricultural researchers, and extension officers who regard local participation as professionally disempowering and a distraction from scientific objectives. In Indonesia, Bebbington et al. (2006) demonstrate that projects aimed at increasing local participation in economic development in Indonesia were driven by state and local elites. This limited the opportunities for local communities to link to other actors. The state also facilitated private sector investment excluding local communities, which not only under­mined local livelihoods but resulted in an uneven distribution of assets and capacities. Co-management – a sharing of power between governments and local communities – has been proposed as one way of minimizing the risks of com­munity participation/CBNRM approaches (Cash et al. 2006). Decentralization and cross-scale coordination. Co-management in NRM is closely connected with decentralization, a second, top-down approach to creating linkages across scales. Overall, the literature is mixed on the ability of decentralization to promote local participation and deliver lasting and equitable governance arrangements for sustainable resource management. In their study of decentralization reforms in the Bolivian forestry sector Andersson and Gibson (2006) examine both the positives and negatives of these reforms. Proponents of decentralization believe that it will increase accountability because local governments are more responsive and accountable than central governments. They also have better information on the local conditions and preferences, and will thus make better decisions regarding the provision of public goods. Opponents of decentralization believe that these reforms may reduce local provisioning of public services because local elites are more able to divert public funds for their own interests than a central government. In Central Kalimantan, Indonesia, for example, decentralization resulted in ambiguous rights and rules over forest resources and thus increased deforestation. (McCarthy 2003). Veron et al. (2006) also find that decentralization is prone to several pitfalls that hinder transparent and equitable linkages across governance levels. Decentralization reforms create new elites at the local level who become the local networks of corruption. Thus, corruption from centralized authorities is decentralized to the local level, to the newly emerging class of political entrepreneurs that did not exist before. They conclude that participatory decentralization and the strengthening of horizontal accountability does not prevent corruption. They suggest that there is need for both upward and downward accountability and that the effectiveness of decentralization also depends on the strength of centralized government institutions. A study on the decentralization reforms by Wardell and Lund (2006) show that decentralization is beset with contradictions. They may emphasize local resource users yet postcolonial administrations often restrict or suspend customary communal rights. The resulting new legal framework came with stricter rules, but noncompliance with and nonenforcement of the rules created space for rent seeking by local public authorities. In addition, as shown by Bebbington et al. (2006) in Indonesia, state involvement at the local level can become an instrument of social control. The shortfalls of decentralization are summarized effectively by Ribot et al.’s (2006) cross-country studies that show that instead of linking institutional scales, central governments undermined the ability of local governments to make meaningful decisions. They limited the kinds of powers that are transferred, and chose local institutions that serve and answer to central interests. While decentralization is a promising mechanism for linking NRM institutions across different levels, the politics and policies for pursuing it are complex, situation-specific, and face many obstacles, as Larson (2002) shows. However, there is evidence that decentralization empowers local people to identify their own environmental problems, allocate resources more efficiently, reduce information costs and benefit from a sense of ownership in decision (McCarthy 2003). Summary of approaches: preconditions for successful multi-level governance. Community participation and decentralization approaches have not been completely effective in linking different governance across levels. There is multiple evidence that they lead to elite capture and even negative resource outcomes. Poteete and Ostrom (2004) note that the attributes of a resource, the attributes of users, and the institutional environment are key factors that need to be considered in fostering collaboration across scales for NRM. Group characteristics such as size and homogeneity become important in dealing with coordination and distributional issues (Poteete and Ostrom 2004). Heterogeneity in groups can exist along several dimensions (such as gender, power, wealth and assets, ethnicity, production system, position on a watershed, etc.) and will tend to increase with group size. But it is important to find out which types of heterogeneity can increase cross-level cooperation (by creating incentives to collaborate, for example) and which may impede it (by undermining trust, for example). Thus it remains an open question whether radical decentralization is a precondition for effective forest management. Collective action, be it vertical or horizontal, is costly. In addition to obtaining information, actors must overcome coordination problems, distributional issues and the incentive problems associated with common-pool resources and other resources (Poteete and Ostrom, 2004). Local autonomy may be conducive for successful management of common-pool resources such as forests, but it is not sufficient. Acting alone, communities may not be able to defend their forest resources from other communities or takeovers by state agencies or private corporations. Thus, linking between scales is necessary for effective and sustainable NRM. Murphree (2002) suggests a way to link the efficiency of local jurisdictions with the scale of resource systems, while dodging the top-down pitfalls of decen­tralization. The managerial requirements of specific resource systems need to be matched to jurisdictions no larger than necessary. Assigning increased authority and responsibility to local users without ascertaining the range of functions of a resource, the diversity of interests among users and the capability of local institutions to take on these roles, will complicate rather than solve problems. Overall, governance arrangements for INRM must be an appropriate mix of local and state institutions, with strong support by central state authorities. State institutions are needed to provide support for the formation or strengthening of these local institutions where they are nonexistent or weak, and to mediate conflicts and enforce resource use agreements worked out by the different local groups (Ostrom 1990 and 1995). It is impossible to capture and account for the true complexity of human-resource interactions without disaggregating by scale and looking at cross-level linkages. There is wide agreement as well that the type of institution must be matched to the scale of the resource while fostering accountable cross-scale linkages among multiple actors. There is value in both the top-down approach of decentralization and the bottom-up approach of community participation. Yet both approaches are susceptible to some common problems, especially elite capture at different levels, which can ultimately hinder healthy cross-scale linkages. Adger, W., Brown, K. and E.L. Tompkins. 2005. “The Political Economy of Cross-scale Networks in Eesource Co-management.” Ecology and Society. (10)2:9. http://www.ecologyandsociety.org/vol10/iss2/art9. Andersson, K. and Gibson, C. C. 2006. “Decentralized Governance and Environmental Change: Local Institutional Moderation of Deforestation in Bolivia.” Journal of Policy Analysis and Management. (26)1:99–123. Bebbington, A., Dharmawan, L., Fahmi, E. and Guggenheim, S. 2006. “Local Capacity, Village Governance and the Political Economy of Rural Development in Indonesia.” World Development. (34)11:1958–1976. Blaikie, P. 2006. “Is Small Really Beautiful? Community-based Natural Resource Management in Malawi and Botswana.” World Development. (34)11:1942–1957. Campbell, B., J. A. Sayer, P. Frost, S. Vermeulen, M. Ruiz Pérez, A. Cunningham, and R. Prabhu. 2001. “Assessing the Performance of Natural Resource Systems.” Conservation Ecology. (5)2:22. http://www.consecol.org/vol5/iss2/art22. Cash, D. and Moser, S.C. 2000. “Linking Global and Local scales: Designing Dynamic Assessment and Management Processes.” Global Environmental Change. (10): 109-120. Gottret, M. and D. White. 2001. “Assessing the Impact of Integrated Natural Resource Management: Challenges and Experiences.” Conservation Ecology. (5)2: 17. http://www.consecol.org/vol5/iss2/art17. Harrington, L., J. White, P. Grace, D. Hodson, A. D. Hartkamp, C. Vaughan, and C. Meisner. 2001. “Delivering the Goods: Scaling Out Results of Natural Resource Management Research.” Conservation Ecology. (5)2:19. http://www.consecol.org/vol5/iss2/art19. Larson, A. 2002. “Natural Resources and Decentralization in Nicaragua: Are Local Governments Up to the Job.” World Development. (30)1: 17-31. Lovell, C., A. Mandondo and Moriarty, P. 2002. “The Question of Scale in Integrated Natural Resource Management.” Conservation Ecology. (5)2:25. http://www.consecol.org/vol5/iss2/art25. McCarthy, J. 2003. “Changing to Gray: Decentralization and the Emergence of Volatile Socio-legal Configurations in Central Kalimantan, Indonesia.” World Development. (32)7:1199-1223. Murphree, M. 2000. “Boundaries and Borders: The Question of Scale in the Theory and Practice of Common Property Management.” Presented at the Eight Biennial Conference of the International Association for the Study of Common Property (IASCP). Bloomington, Indiana, U.S.A. May 31 – June 4. Mwangi, E. and E. Ostrom. 2008. “A Century of Institutions and Ecology in East Africa’s Rangelands: Linking Institutional Robustness with the Ecological Resilience of Kenya’s Maasailand.” In V.Beckmann and M. Padmanabhan, eds. Institutions and Sustainability. Political Economy of Agriculture and the Environment. Essays in Honor of Konrad Hagedorn. Dordrecht: Springer. Ostrom, E. 1995. “Designing Complexity to Govern Complexity.” In S. Hanna and M. Munasinghe, eds. Property Rights and the Environment: Social and Ecological Issues. Washington, D.C. The Beijer International Institute of Ecological Economics and the World Bank. 33–45. —————. 1990. 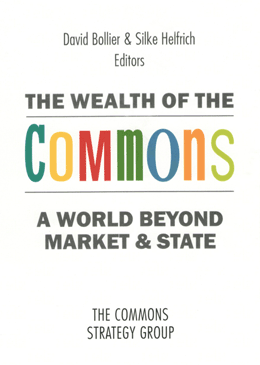 Governing the Commons. The Evolution of Institutions for Collective Action. Cambridge: Cambridge University Press. —————. 2009. “A Polycentric Approach for Coping with Climate Change.” World Bank Policy Research Working Paper Series No. 5095. Ribot, J., Agrawal, A. and Larson, A. 2006. “Recentralizing While Decentralizing: How National Governments Re-appropriate Forest Resources.” World Development. (34)11: 1864–1886. Ribot, J. 2001. “Integral Local Development: ‘Accommodating Multiple Interests’ through Entrustment and Accountable Representation.” International Journal of Agricultural Resources, Government and Ecology (1)3/4:327-350. Schulze, R. 2000. “Transcending Scales of Space and Time in Impact Studies of Climate and Climate Change on Agrohydrological Responses.” Agriculture (82):185-212. Swallow, BM, Garrity, D., and van Noordwijk, M. 2001. “The Effects of Scales, Flows and Filters on Property Rights and Collective Action in Watershed Management.” Water Policy (3):457-474. Veron, R., Williams, G., Corbridge, S., & Srivastava, M. 2006. “Decentralized Corruption or Corrupt Decentralization? Community Monitoring of Poverty-Alleviation Schemes in Eastern India.” World Development. (34)11:1922–1941. Wardell, A. and Lund, C. 2006. “Governing Access to Forests in Northern Ghana: Micro-Politics and the Rents of Non-Enforcement.” World Development. (34)11:1887–1906. Helen Markelova (Russia/USA) is pursuing a PhD in Applied Economics at the University of Minnesota, Minneapolis, USA. Previously, she worked for the Collective Action and Property Rights program (CAPRi) of the Consultative Group on International Agricultural Research (CGIAR) doing research on how the institutions of collective action and property rights affect the livelihoods of the poor.